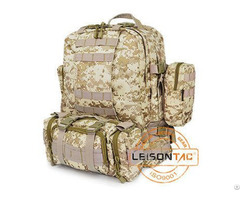 1000D high strength waterproof and flame retardant Cordura or nylon with nylon webbing, stitched with nylon thread, very strong and durable. There is a main large pouch with two middle-size pouches in front and total four pouches set by both side. 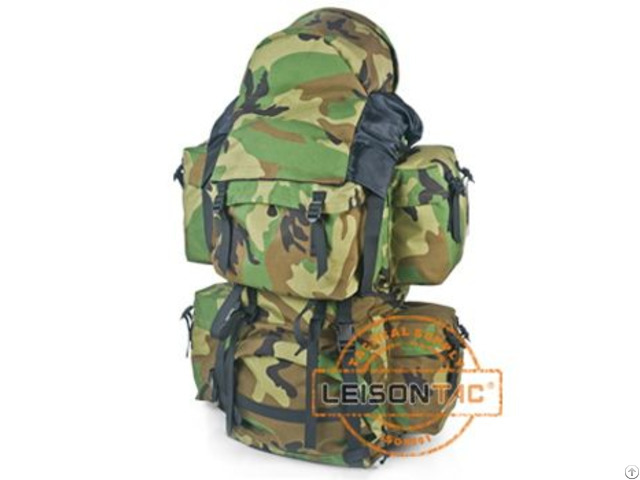 Designed with waterproof rain cover and back is with comfortable and breathable support system. 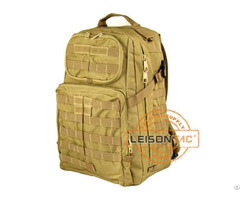 Shoulder straps of backpack can be adjusted in many levels. 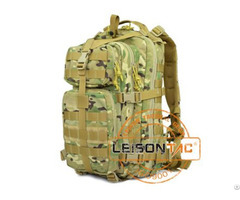 It is suitable for tactical and outdoor activity.